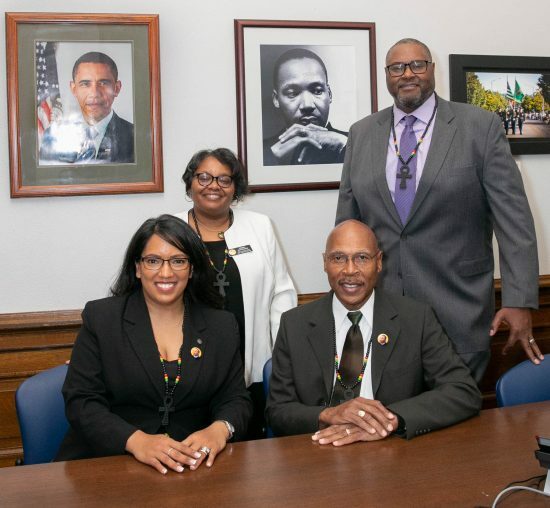 OLYMPIA – On Martin Luther King Jr. Day, the five black members of the House of Representatives established the Black Caucus, recognizing black leadership within the state legislature. Newly elected Reps. Morgan and Entenman will join Reps. Kristine Reeves, (D-Federal Way), Eric Pettigrew, (D-Seattle) and John Lovick, (D-Mill Creek). “Two years ago I was the first black woman elected to the State House in 18 years – almost two decades. This year I am thrilled to say that we have tripled the number of black women serving in the House,” Reeves said. “This is the most black women we have ever had in the House, and I am so honored to serve with them.” Just last week Reeves was named deputy majority whip, now one of three black members in House Leadership. Pettigrew has served as the House Democratic Caucus Chair since 2010 – the third highest ranking position in the House.